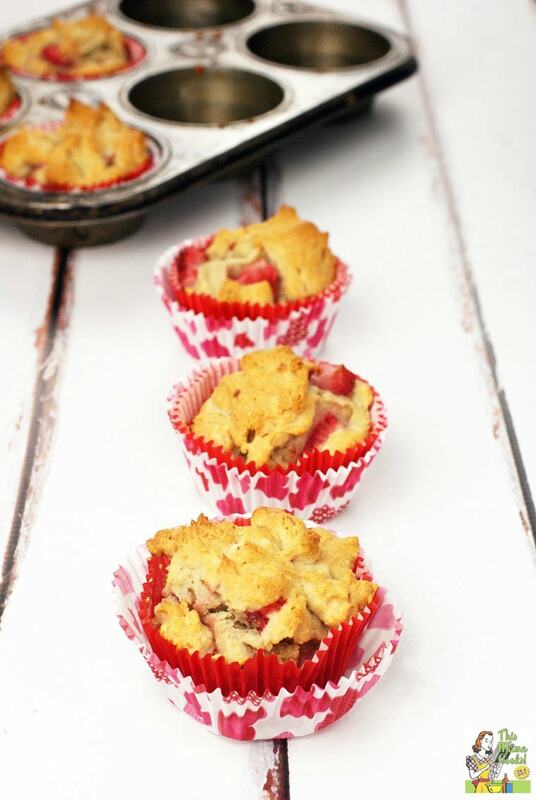 These Healthy Strawberry Muffins are a great way to start your day. Another way you can rev up your breakfast is by putting dabs of yogurt on this strawberry muffins recipe instead of butter. A much smarter choice, don’t you think? It doesn’t have to be strawberry yogurt either! Try another flavor that you think will go with strawberry yogurt muffins like lemon or peach yogurt. Often you have one member of the family who’s gluten free. And you find yourself cooking one treat for them and something for the rest of the family. 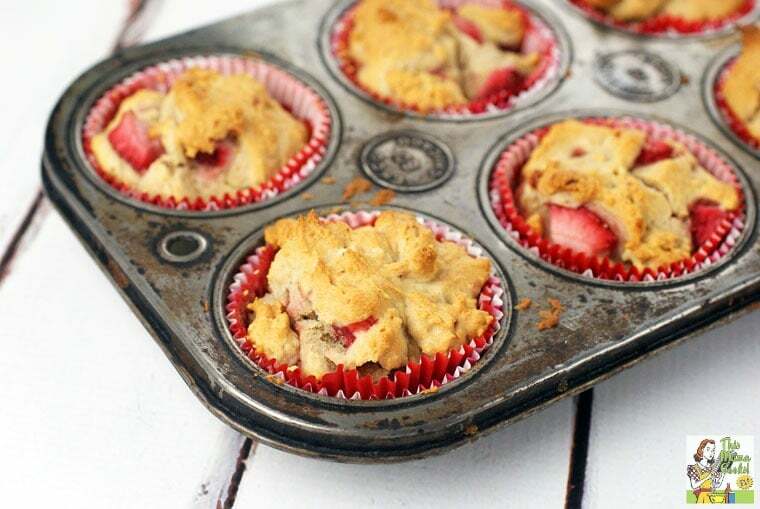 Well, no need with these Healthy Strawberry muffins. These gluten free muffins are so yummy that the whole family will be asking for more! 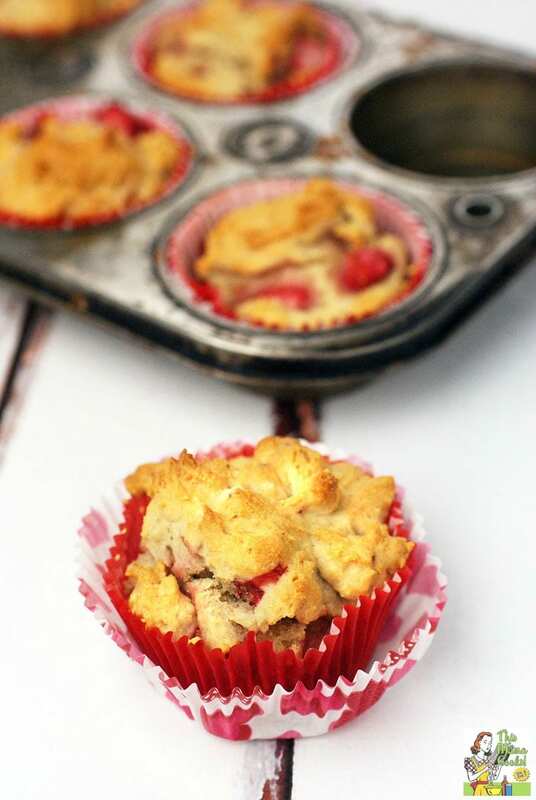 This strawberry muffins recipe is also super easy to bake up. The only special ingredient you need is one of your favorite gluten free all purpose flours. You can find a list my favorite GF flours in my Best Gluten Free Products List. These gluten free muffins aren’t just for breakfast either. If you’re trying to health up your meals, why not do the same during snack time? 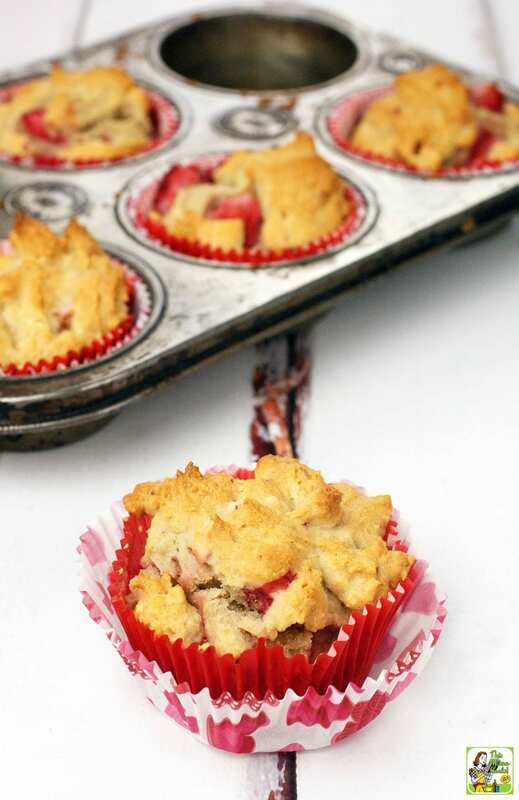 Substitute Healthy Strawberry Muffins instead of a heavy, calorie laden dessert? It’s all about making healthier choices! Looking for more healthier fruit muffin recipe choices? 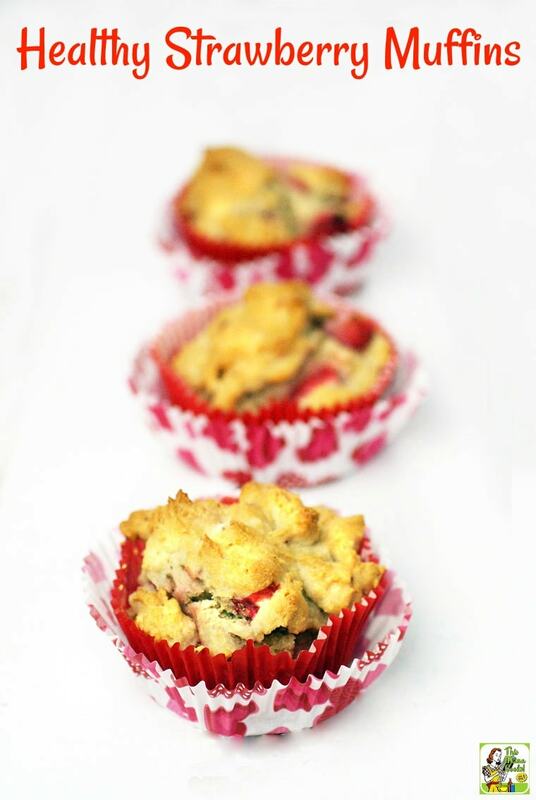 Check out my recipe for Raspberry Yogurt Muffins! You must use cupcake liners with this muffin recipe as these gluten free muffins will stick to the muffin pan if you don’t. A good alternative are silicon cupcake liners or a silicon muffin baking pans so you can “pop out” the muffins. Both work great! You can use fresh or frozen strawberries. If using frozen strawberries, there’s no need to defrost them. I find sliced frozen strawberries easier to chop. Make sure you chop up the strawberries into small pieces. Strawberries hold a lot of moisture and will make the strawberry muffins mushy if they’re too big. I used monk fruit powder, a natural no calorie sweetener, in these muffins. If you’re not worried about calories, regular sugar is fine. Put paper liners in 12 muffin cups. In a large mixing bowl, stir together flour, monk fruit, baking powder, baking soda and salt. In a small bowl, beat together yogurt, canola oil, egg, and egg whites. Pour yogurt mixture into flour mixture. Stir until almost blended. Place muffin pan(s) on oven’s middle rack. Bake for 20 to 22 minutes until nicely browned. Published on January 22, 2016. Updated with new pictures and information.